Thanks to our sister site TokuNation, we have our first look at the new Gamera 3: The Revenge of Iris (1999) – S.H. MonsterArts Gamera Figure! According to the report, this is a remold of the original S.H. MonsterArts Gamera Figure, with some new parts and a new paint scheme. The figure includes his flaming fist as well as the flight parts and stand. There may be additional parts included, but not pictured in the scan. We’ll update with official images and details once they become available. The Gamera 1999 Figure is set for release in October. It » Continue Reading. 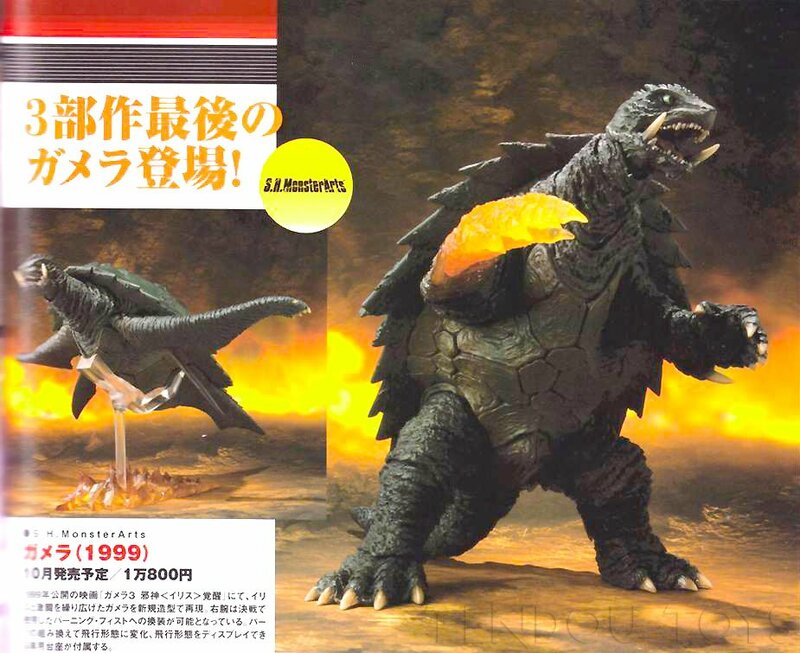 The post Magazine Scan Reveals SH MonsterArts Gamera 1999 Version appeared first on The Toyark – News. Marvel Premier Collection Domino & Black Panther Statues!